Forget that sense of inspiration and excitement people expect to feel at the beginning of a new year. From my perspective, the overwhelming emotion flooding most of us right now is anxiety. I’d go so far as to say that feeling anxious is the South African condition at present. Not that we can be blamed. We’re dealing with so many unknown factors, and those that are known – well, suffice to say they haven’t brought us much assurance. 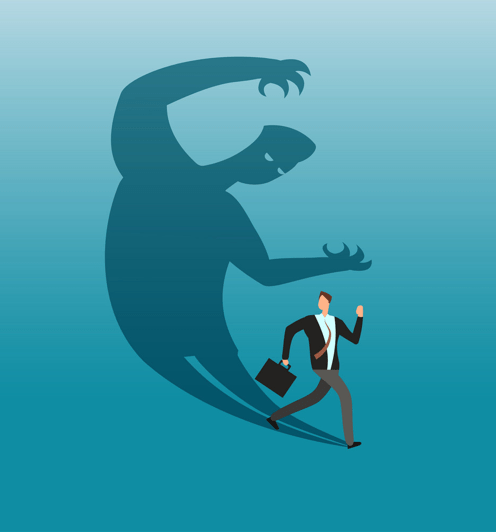 The challenge for organisations is this: anxiety of this nature, arising when people are dealing with unknowns, tends to manifest in assumptions of danger and risk. This is disastrous because, inevitably, when people’s psyches are struggling, organisations lack the confidence and energy to create a bold vision. Nor do they have the ability to do anything great. Time and again, I’ve noticed that Blueprints is at our busiest at times like this, when people are foundering. That’s not surprising: they’re seeking frameworks that will help ground them and remove the sensation that they are succumbing to the unknown. Even those organisations with solid policies in place feel at a loss when it comes to handling the fallout of generalised anxiety. Again, it’s easy to understand why: we all know what to do when faced with a rabid rottweiler, but when the source of the anxiety is more difficult to pinpoint, absolutely anything could leap out at you and upset the equilibrium. The best way to counter this uncertainty? It’s actually quite simple: provide as much certainty as possible. Before you decide that this is easier said than done, think about actually doing it: by having a deep, introspective, structured conversation with as many of your staffers as possible. Ask them what they think the best way is to confront the hurdles we’re all currently facing. How would they go about raising the organisation’s game so you can outperform competitors? Falling into the anxiety trap is a conscious choice. You either make a deliberate decision to fall in with the collective angst, or you start taking pragmatic steps, following a concrete process, to lift you out of the mire.